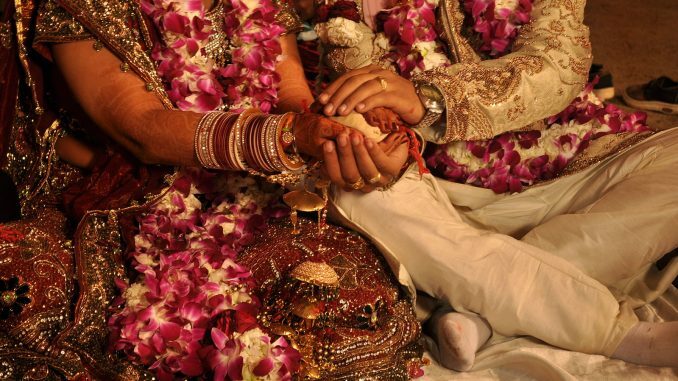 Indian family law is characterized by the granting of different rights to different religious groups. Although changes have been made to lessen the disparity in gender representation within the law for women, these changes have been primarily directed at Muslim rather than Hindu women. Group-specific family law disproportionately affords Hindu women with fewer rights and limits the policy progress that can be made. Laws concerning Muslim alimonies and divorces have been amended to allow women more rights and cultural accommodations. In 1986, the Muslim Women Protection of Rights on Divorce Act secured the ability of divorced Muslim women to collect money from former husbands. The Act invalidated the Supreme Court ruling in Ahmed Khan v Shah Bano Begum, which held that only Muslim women who have not remarried can claim financial compensation. Under the Act, former husbands are required to pay divorced women enough to financially maintain her current lifestyle during the iddat period, a set period of time in which a Muslim woman is prohibited from marrying another man after the death of or divorce from a previous husband. The purpose of the iddat is to ensure that a child born after the end of a marriage would know who their husband is. Due to the burden placed upon a woman to birth a child, the husband is also expected to pay maintenance to the child for two years after the child’s birth. Additionally, the woman in the marriage is entitled to receive the mahr, a payment made by the groom to the bride’s father. All of the land and properties provided to the wife are to be returned to her following a divorce. If the husband does not follow these stipulations, the wife is entitled to appeal to a magistrate to compel the husband to provide her with financial maintenance, her entitled mahr, and former properties. If the husband fails to obey the order, the magistrate may then require the payment of a fine as prescribed by a Criminal Procedure Code or face imprisonment for one year. The Bill also provided a safeguard to the wife’s financial welfare if the dissolution of the marriage would result in immense financial hardship. Once introduced, the Bill successfully passed the Upper House of the Indian Parliament but did not pass the Lower House. In 2012, the Supreme Court of India ruled that if mutually consented to, a marriage could be dissolved before the end of the six months cooling off period previously mandated by the Hindu Marriage Act of 1955. Justice Altamas Kabir read the Supreme Court decision and stated that, “there may be occasions when in order to do complete justice to the parties it becomes necessary for this court to invoke its powers under Article 142 in an irreconcilable situation (between the couple). When it has not been possible for the parties to live together and to discharge their marital obligations towards each other for more than one year, we see no reason to continue the agony of the parties for another two months.” However, it is unclear what happens when the occasion is not deemed to be “irreconcilable” and what a state of marriage must be in to necessitate the observance of the cooling off period. While it may appear that not granting a divorce may limit a woman’s rights, a divorce, more often than not, hinders the woman’s ability to be financially stable. In a study named, “ “The Economic Rights & Entitlements of Separated and Divorced Women India,” researchers, lawyers and women’s rights activists for the Economic Research Foundation of India surveyed 405 Indian women who had been separated, divorced, or deserted in their marriages. A majority of the women surveyed noted that they would not have opted for a divorce even if they lived in a violent household due to financial and social insecurities. The study found that, by not granting a divorce, these women may be given their only chance to negotiate a financial settlement. 60% of the respondents who had been separated noted that they would not be able to be hired if they were divorced. 85% of the separated women also indicated that single-handedly raising their children would be too taxing to maintain under their reduced capability to earn money or be socially accepted. While it appears that the Marriage Laws Amendment Bill and the 2012 Supreme Court decision increased the breadth of circumstances under which divorce is acceptable, in reality, these recent policy decisions continue to narrow the ability for Hindu women to live in a financially stable environment. The freedom by which Muslim women live their lives after a divorce appears to be a distant dream for Hindu women. Ideally, laws should ensure that women are guaranteed a living wage for themselves and their children after divorce. In India, a facade of political progress often obscures the social and civil problems that plague Hindu women. Rachel Sereix is a Sophomore from Hollywood, Florida studying Political Science and Markets & Management.